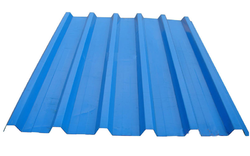 Coated steel sheets have many attributes that make them suitable for diverse use in construction industry. These colour coated steel sheets and coated wall panels provides a combination of strength formability, jointability, paintability and economy. 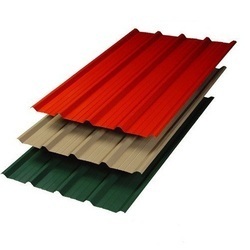 Colour coated sheets provide excellent resistance to corrosion and hence has become the most preferred material for a wide range of construction uses, particularly roofing and walling. After extensive research, study and tests, the Bureau of Indian Standards have concluded and recommended roof pitch as best suited and optimal for Indian conditions. VNRC subscribes to the standardization process. However, designers tend to choose slope of their choice keeping factors like heat dissipation, operational requirements, energy consumption and environmental factors in mind. The profile is suitable for adaptation to the slope as designed.